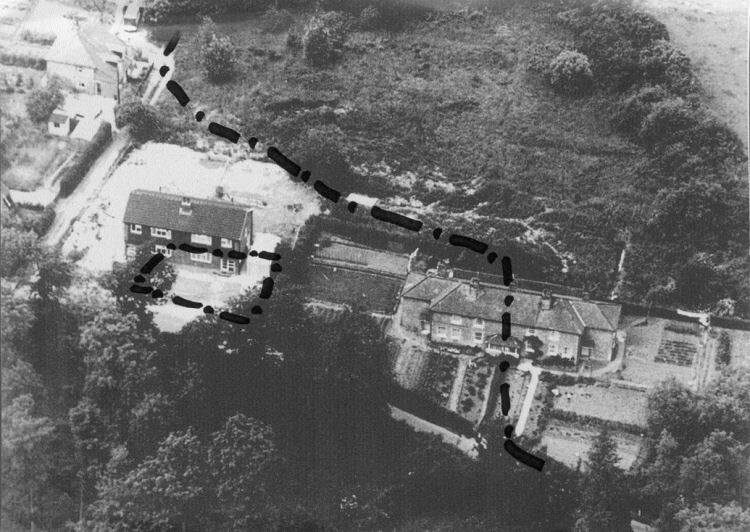 Above photo 1962 showing the newly built house and the position where the "Grenadier" stood; also the parish boundary. 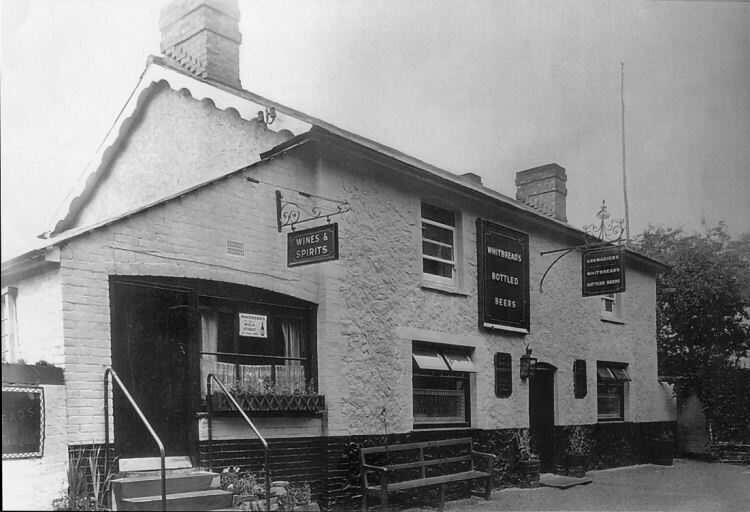 Mr. W. C. Cripps formally applied on behalf of Messrs. Leney for the renewal of the license of "The Grenadier," Hildenborough. P.S. Marsh said there were six "full," one "on," and one "off" license in the parish. The house in question was fully licensed, and there were three houses within two miles of the house. There were 17 inhabited houses within half-a-mile of the house, and there was very little traffic along Riding-lane, the road in which the "Grenadier" was situated. He did not think the house was required. Mr. Tapley, a Director of Messsrs. Leney, stated that the trade had always been steady. There had only been one change in the tenancy for over 26 years. The trade averaged 112 barrels, and 49 gallons of spirits. Mr. Miles, the tenant, said he got a comfortable living at the house. He also carried on a fair luncheon and tea trade, a little grocery business, and a good mineral trade in the summer. The Chairman said the Bench had come to the conclusion that the case should be referred to Quarter Sessions. The usual provisional license would be granted meanwhile. 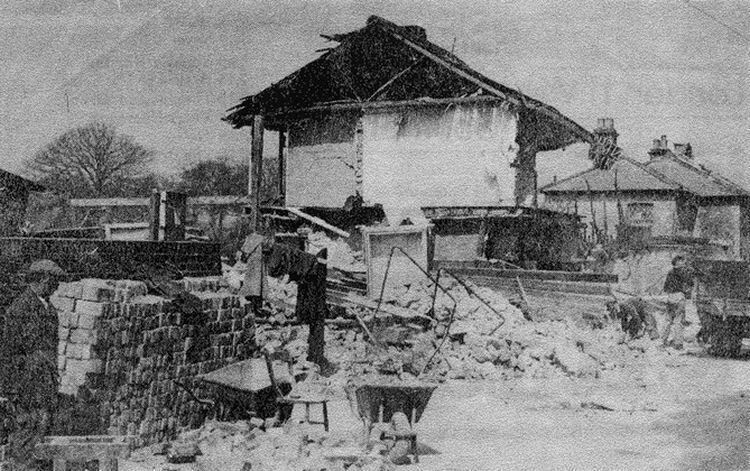 Built in 1858 and also incorporating a grocer's shop, the building was destroyed by a bomb at 9pm on Saturday 19th April, 1941. 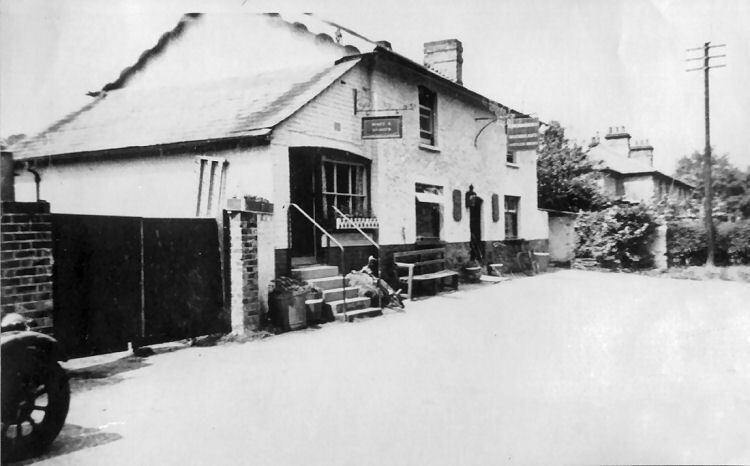 The landlord, Frederick Southin, was in the cellar at the time, tapping a fresh barrel of beer. 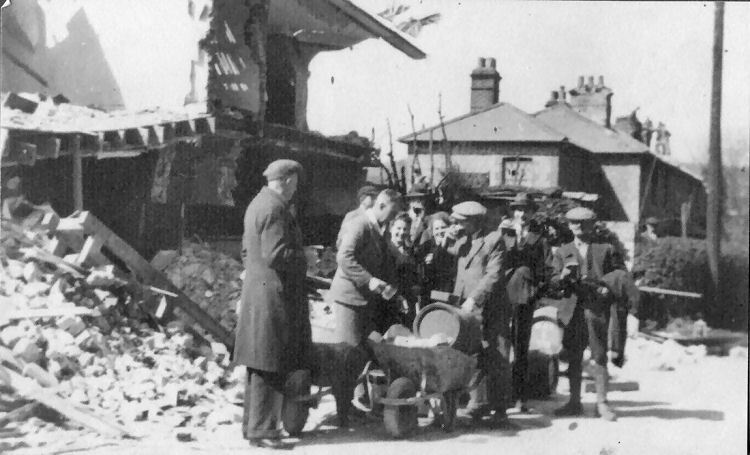 Above photo showing the locals rescuing the beer in 1941. 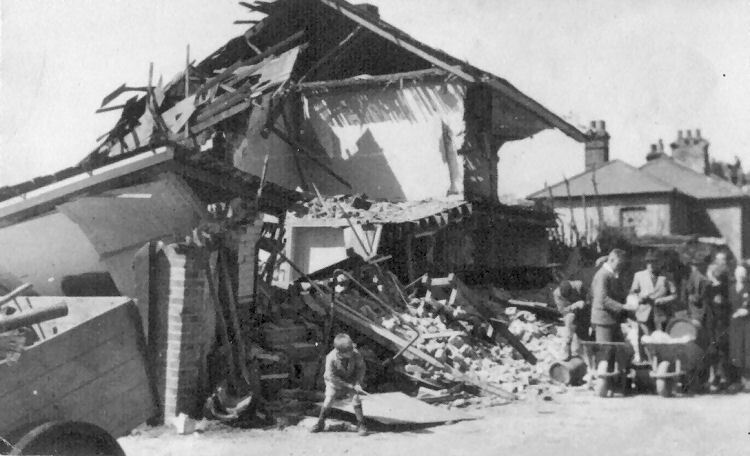 Above showing bomb damage caused on 19th April 1941.